New poster for the reimagining of the Lizzie Borden story. Director Craig William Macneill's Lizzie reimagines the story of Lizzie Borden, who the story goes, took an axe to her parents in 1892. Chloë Sevigny is the titular murderess, with Kristen Stewart playing the role of a maid she embarks on a torrid romance with. 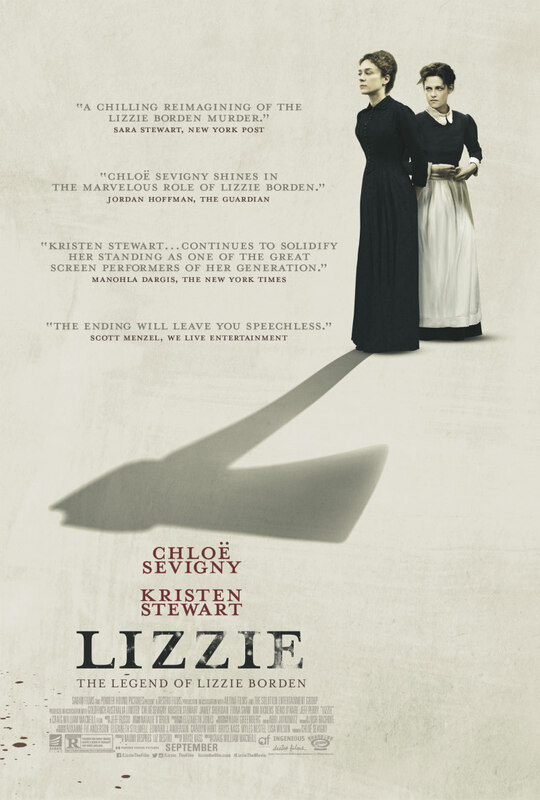 The film's official poster has been released, and plays heavily on Lizzie's particular choice of murder weapon. Check it out below.